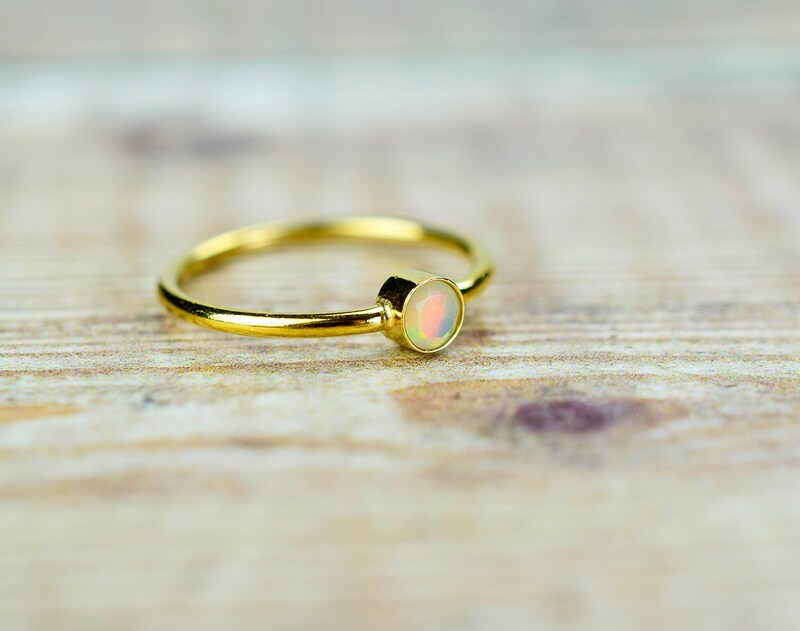 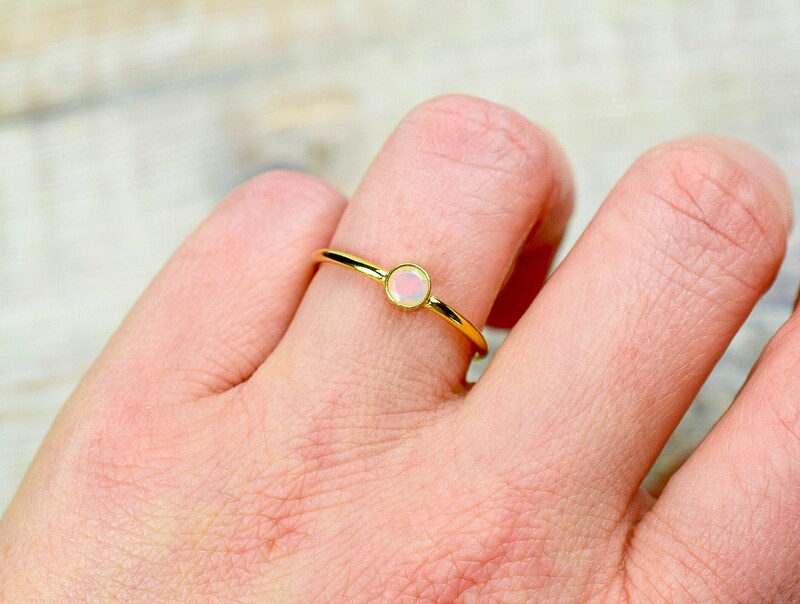 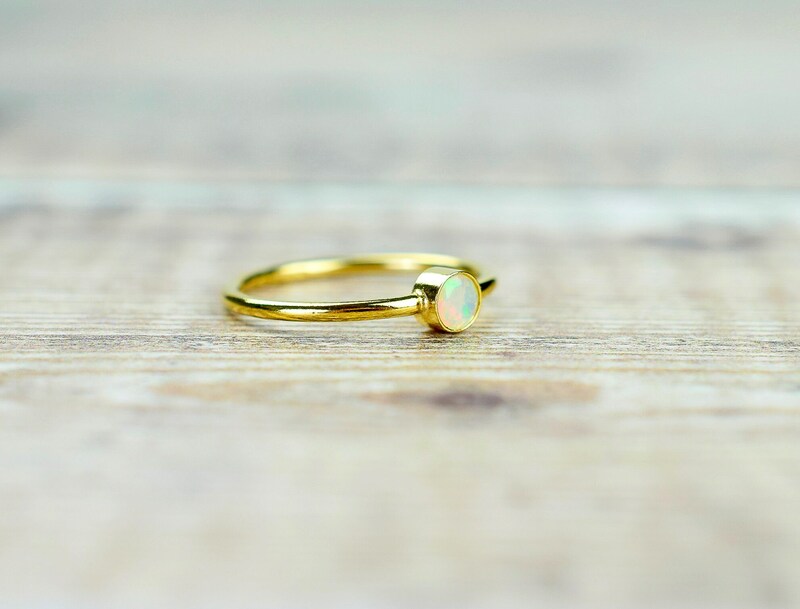 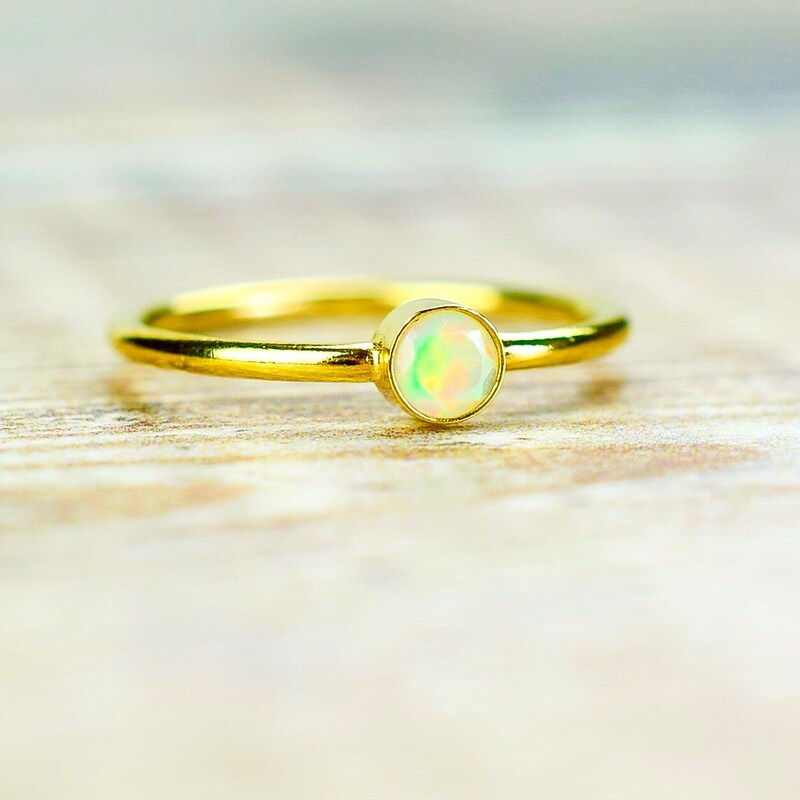 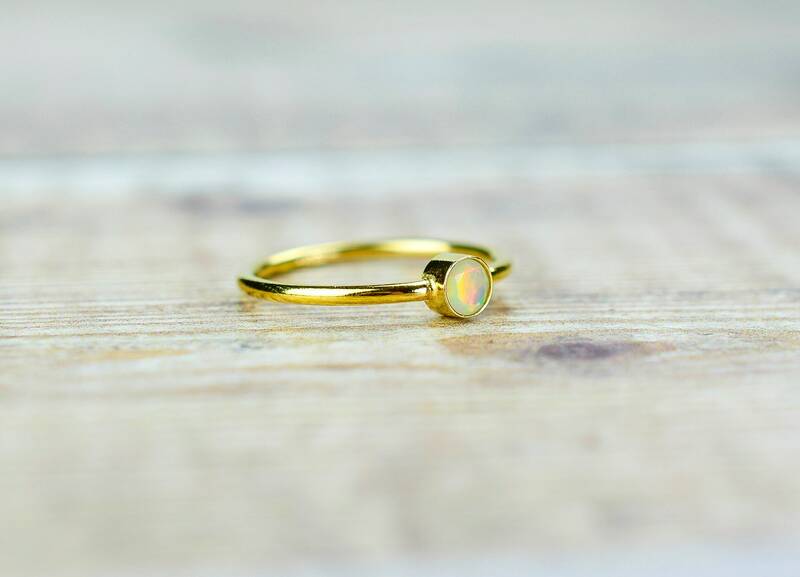 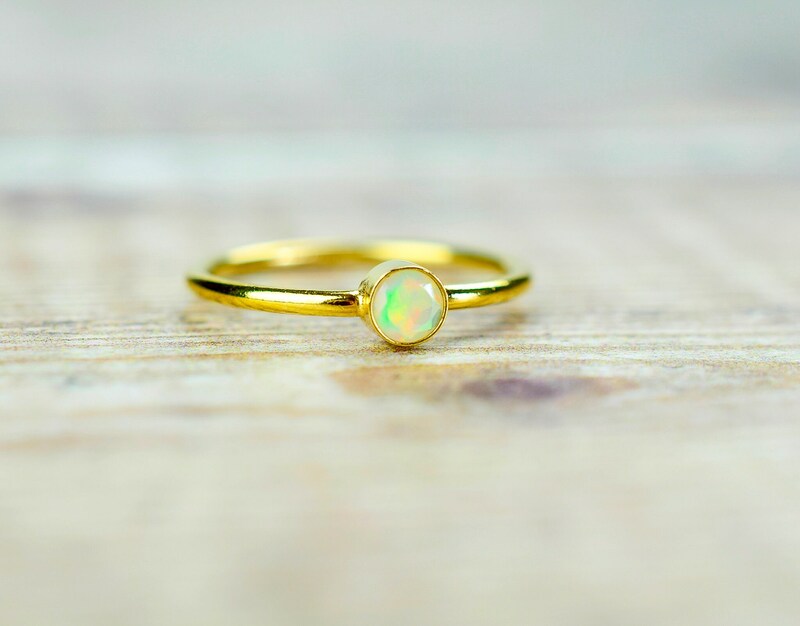 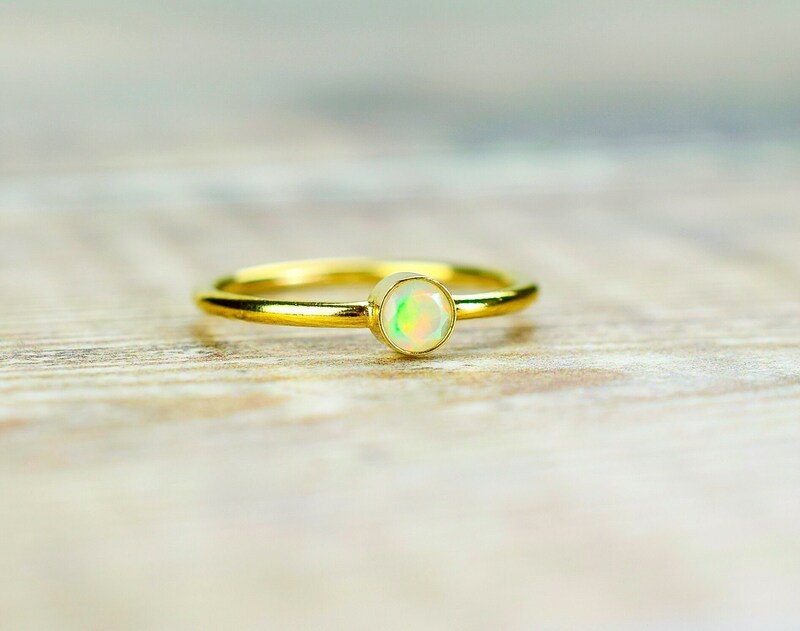 An elegant gemstone White Opal ring made from 14k gold fill and set with a natural Ethiopian Opal. 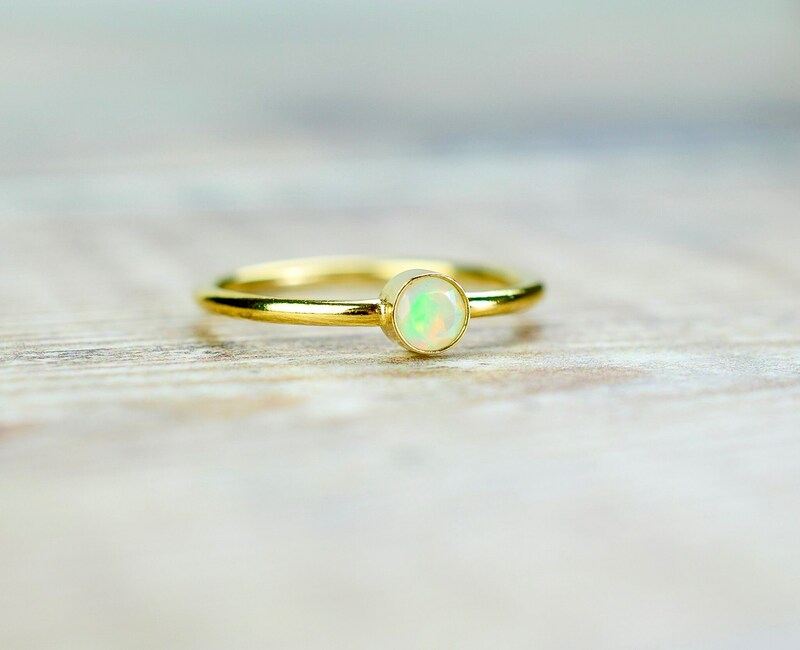 The Opals are especially beautiful, they have lots of colourful flashes and look amazing in their gold settings. 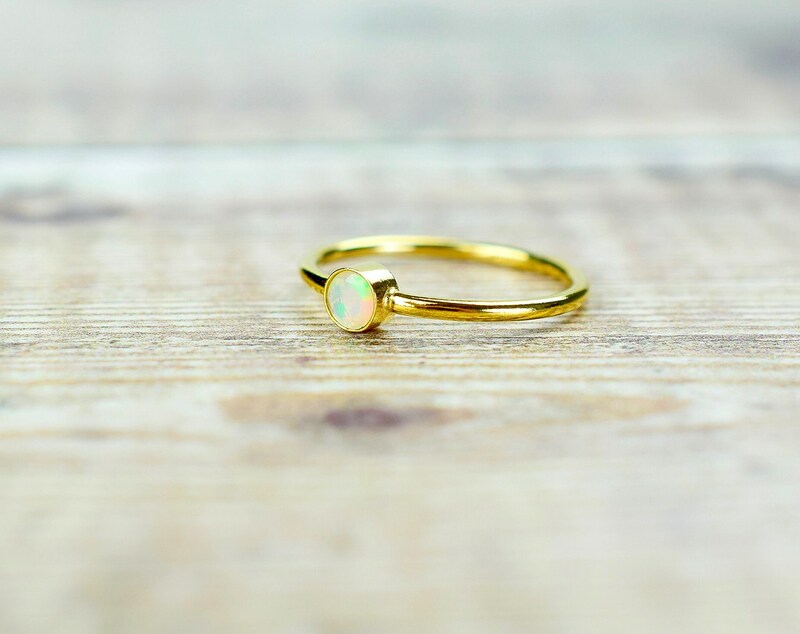 Rings are made to order and hand set by me using traditional stone setting techniques.